Two years later the elegant Union Club hotel opened to the delight of students and OSU alumni and supporters. The hotel’s Georgian architecture – with its stately bricks, crown moldings and cornices, and multi-pane windows – set the stage for the treasures within: 81 guest rooms and suites featuring wall-to-wall carpeting, air conditioning, private baths and guest-dial telephone service. An automatic elevator service, circulating ice water system and adjacent parking were other bragging points of the day. Through the years the property became known simply as the Student Union Hotel. Renowned for its first class hospitality, the hotel provides hands-on experience for students interested in hotel and restaurant management. A major corner was turned in 2001 when the hotel launched a $6 million lobby-to-roof renovation. In 2004, the makeover was complete and OSU’s favorite place to stay made its debut as The Atherton Hotel at OSU. The new moniker paid tribute to Bill Atherton, an OSU graduate who spearheaded fundraising for the hotel’s restoration and was the campaign’s cornerstone donor. Following the opening, The Atherton Hotel at OSU was selected for membership in the esteemed Historic Hotels of America program. To complete the hotel’s package, The Ranchers Club opened in 2005. Hotel guests and university visitors now had access to an upscale dining experience matching the hotel’s hospitality and sophistication. In 2012, The Atherton Hotel at OSU entered into a management agreement with Persimmon Ridge Properties. 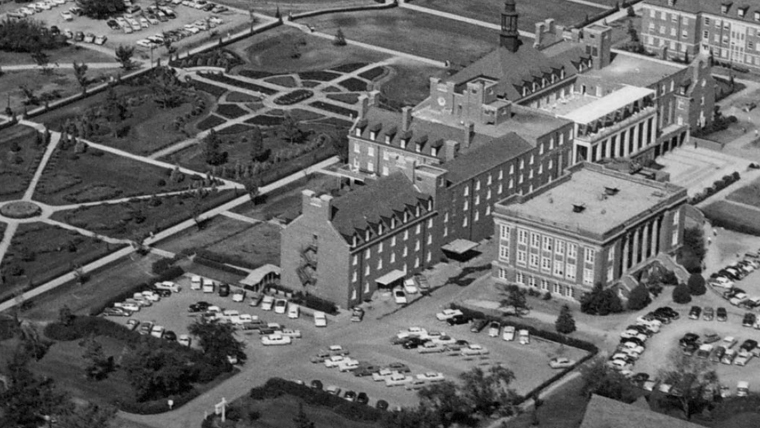 The relationship between the company – owned by OSU alumni – and the hotel help ensure that the property’s legacy of distinction remains intact for years to come. In 2014, a complete demolition of the hotel's interior space took it from 81 to 69 guestrooms, a move that underscored the intention to operate a boutique-style, full-service hotel that would enhance both the campus and the academic initiatives of its School of Hotel and Restaurant Administration.